Beautiful and healthy hair is a must for a lot of people. Especially women set value on healthy, long and shiny hair. They spend hours at the hairdresser for the perfect cut. The right hairstyle can switch off a lot and can change the whole type. Important factors are face shape and hair texture. The optimal hair care is important to give the hair a silky gloss so it looks sinuous and feels good. Every hair has different requirements and needs other care ingredients so it can stay beautiful and healthy. To an all around hair care belongs normally: washing, shampooing and to use a nurturing conditioner. From time to time it is to recommend to use hair oils and serums to give the hair moisture and gloss. But think on it: Too much care strains the hair and it looses its shine. When you're unsure about the hair care, just ask your hairdresser. He will give you advice and recommend the right products for your hair type. The fewest people have natural shiny, volumes and less tangled hair. But when you belong to them, we just can congratulate you! You belong to the fewest people that have an easy-care mane. Your hair does not get greasy very easily or isn't very dry or damaged. But your hair also needs a bit care to stay as healthy and as beautiful as possible. 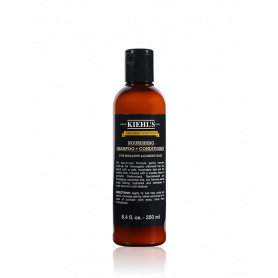 Disclaim on washing your hair every day and wash it instead just every second or third day with a shampoo for normal hair which will remove grease and styling arrears. 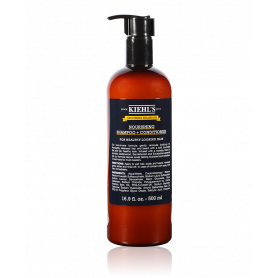 Use ph-neutral shampoo that are mild as possible. 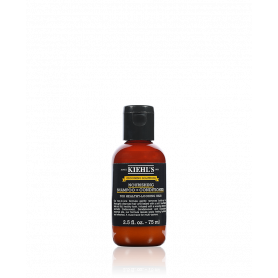 Those will conserve your scalp and help to keep up the natural acid protection. You love to change your look with changing the hair color? Then set on special hair care for dyed hair. Dying the hair without the matching care let your hair seems damaged and dry and you will not have a long time with your new look. This is why it is important to use shampoos which give the hair a lot of moisture and which hold the color as long as possible. The most women want to have long, full and shiny hair. A lot of women are sadly not blessed with a perfect mane a la Heidi Klum and have instead very fine hair. But also fine hair can look great with the right styling products and the right care. You need products that not burden your hair and give your hair volume. Vitamins, keratin and other ingredients strengthens fine hair and make it volumes and shiny. Moisturizing shampoos that will give your hair the missing elasticity are very important for fine hair. Conditioner and caring cures please just put in the ends. When they get on the scalp your hair will just hang down and lose its volume. An oily scalp and greasy hair are problems for a lot of us. Your hair is freshly washed and just a few hours later you feel how it gets greasy again? Especially hair that gets greasy very fast needs special care! It needs products that remove it from suet and product rest without drying it out. The right shampoo is the first step but also other peanuts should be observed: Don't wash your hair too hot, knead your hair while shampooing it, relinquish on head messages, because these will just stimulate the suet production. And also masks and cures should never put on the scalp directly but rather in the ends of your hair. Ingredients like zinc, tea-tree oil, salvia and Camille help your hair to get the natural balance back. You wish for beautiful, straight and volumes hair? But you are afflicted with dry hair without gloss and swing? Then you should start today with using the right products for your hair. There are a lot of reasons for rough and damaged hair. Environmental conditions like strong sun, wind, salty water or chlorine make it hard for our hair to be beautiful and healthy. But also we make it hard for our hair with daily blowing, straighten or curling we damage our hair more than we like to. Accrual the hair dying and the wrong styling products. Care for rough and dry hair should be including a lot of moisture and should be mild and gentle to the scalp and the hair. With ingredients like jojoba oil and phanthenol you can make your hair smooth and soft. So can get your rough hair to a dream mane! Precious hair perfume for a fragrant mane! Hair perfumes connect hair care with a great fragrant adventure. Discover in our online shop hair perfumes from Chanel and Co.! Take a look at our range and discover maybe one of your new favorite perfumes in a “Hair-Mist” version. The hair perfumes have instead to the original fragrances nurturing ingredients and protect from harmful radiation. Set on hair care and an alluring smell at the same time! The decent smell stays long and spread its smell every time the wind blows through your hair. The perfect product to care your hair but also to spread sensuality and femininity. In our shop we offer hair fragrances from luxury brands like Chanel. Pamper yourself with classics like Chanel Chance Eau Fraiche Hair Mist or the Chanel Coco Mademoiselle. Find in our shop also products for the hair care. Round up your styling with the Paul Mitchell Soft Sculping Spray Gel and give your hairstyle the last cut. With the Redken For Men Go Clean Shampoo you can make your hair soft and smooth. Or are you on the search for a mask for dyed hair which needs care after a sunbath? Then order today the Redken Color Extend Sun After-Sun Mask so your hair can hold their color as long as possible and don't lose its beautiful shine.